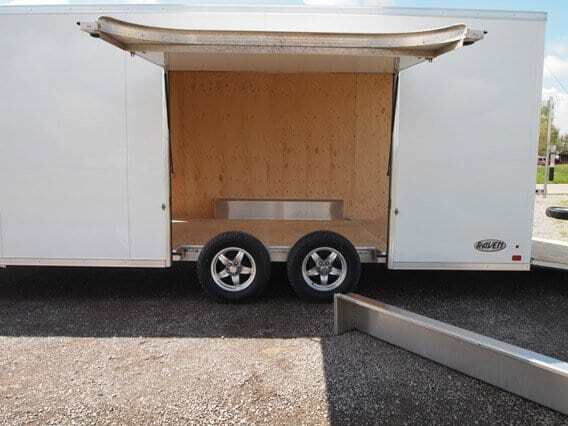 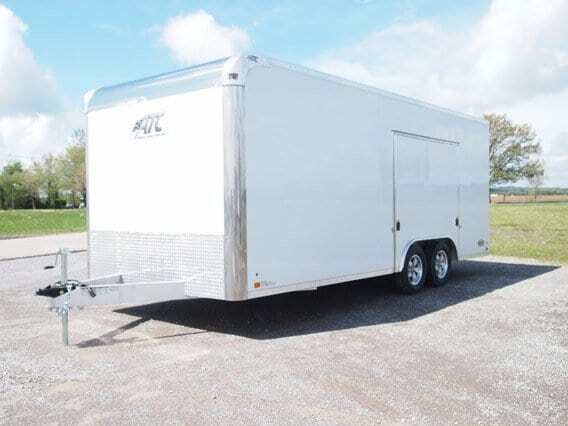 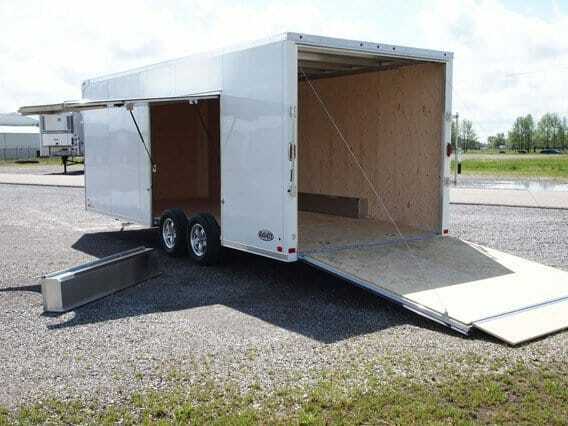 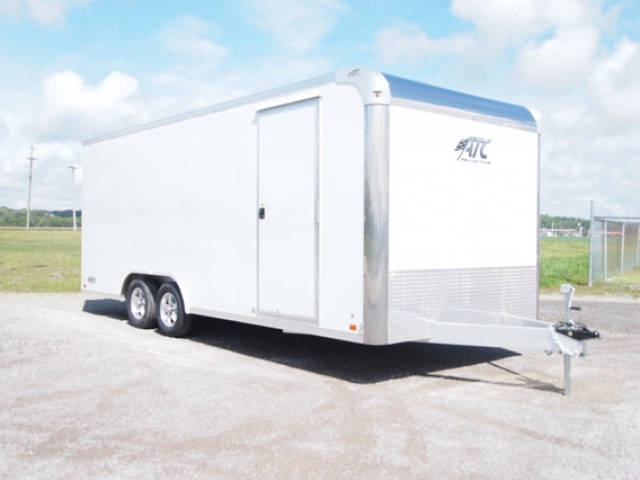 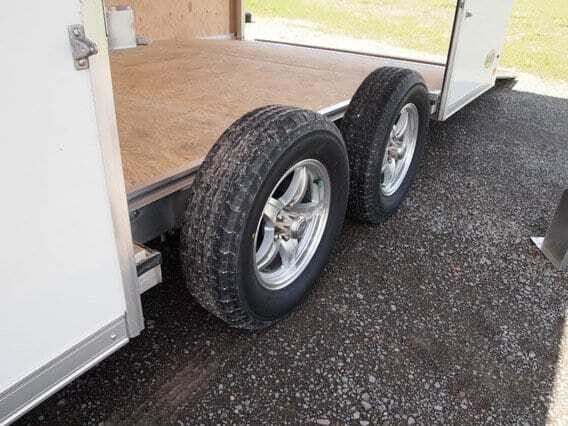 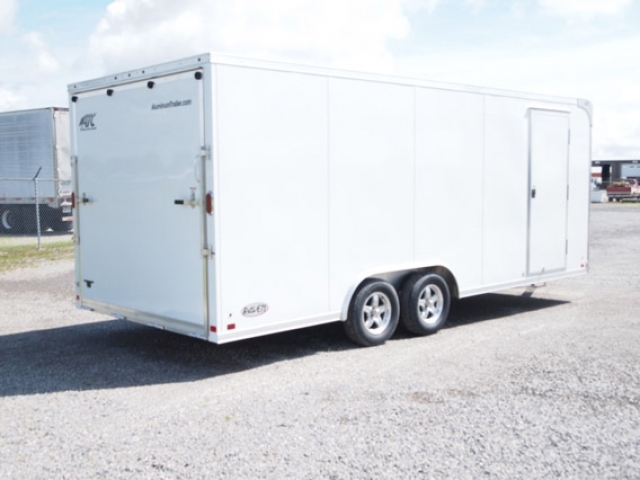 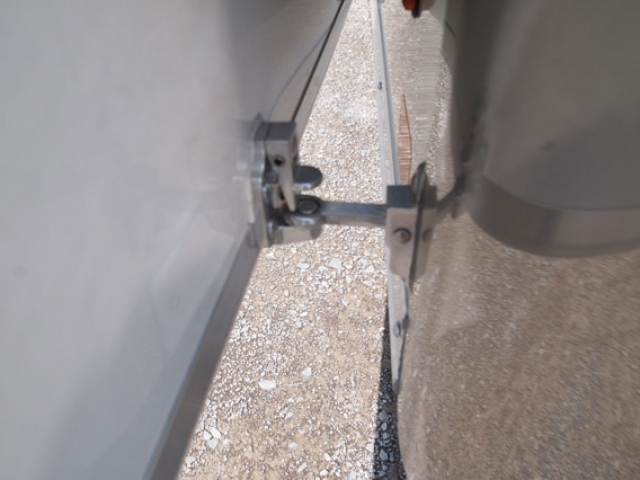 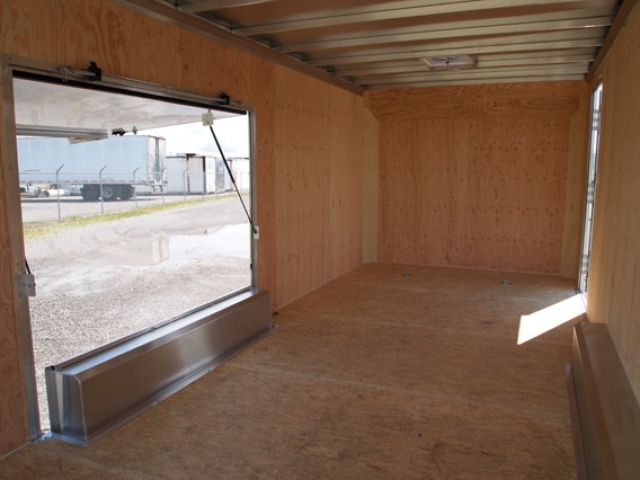 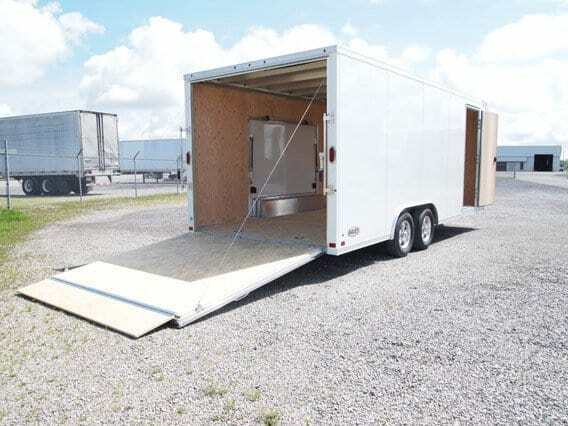 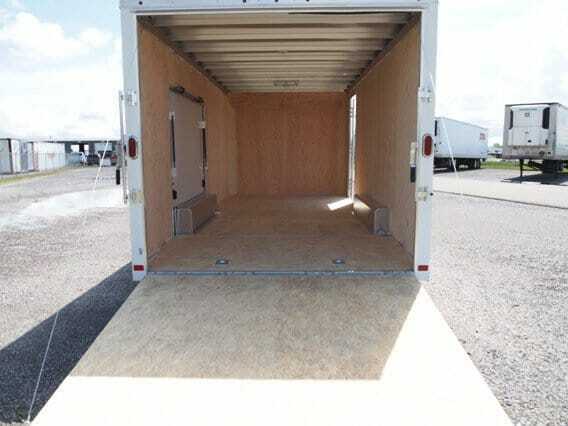 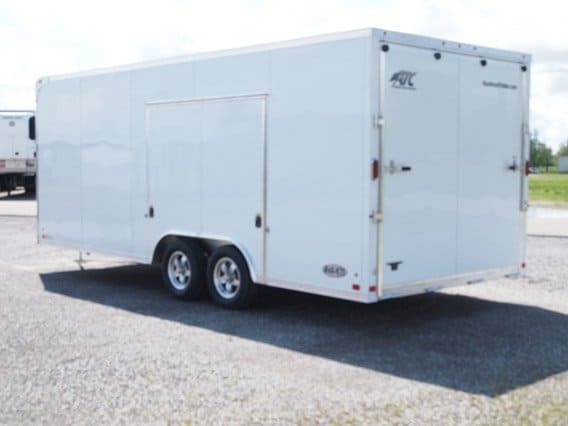 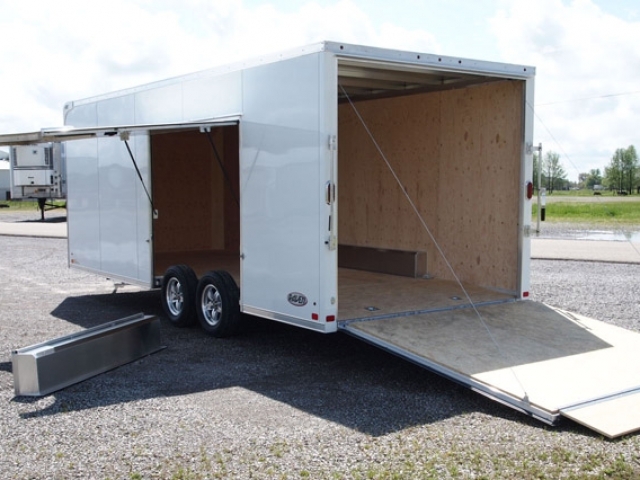 ATC enclosed car trailer featuring premium escape door with removable wheel box, torsion axles, 7′ interior height, aluminum wheels, and stainless steel front corners. 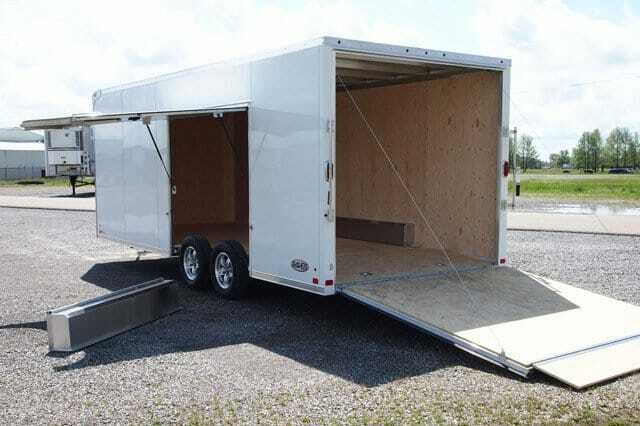 Many custom sizes and options available. Want to see price tags? 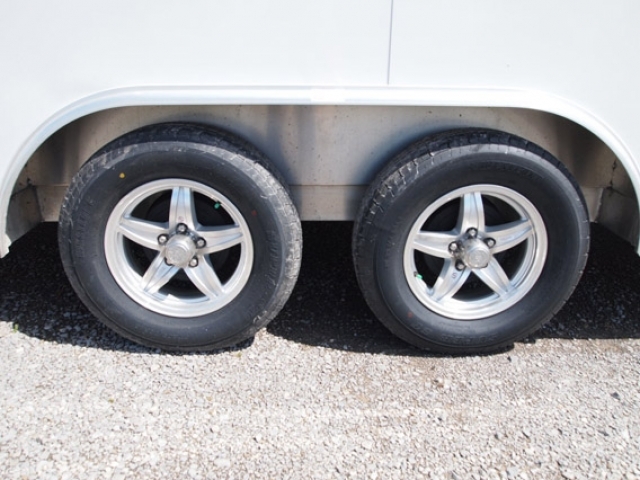 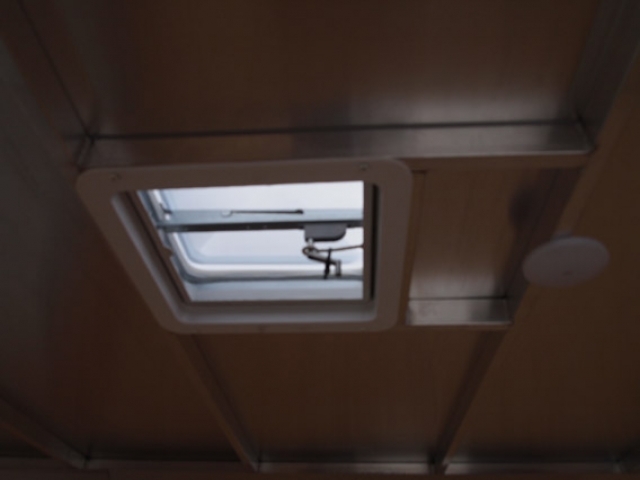 Fill out our Quote Request Form, and we’ll send a quote your way.